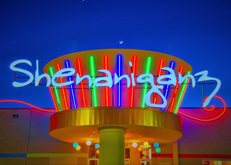 With multiple locations in Texas, Shenaniganz is the premier spot for every flavor of fun! Whether it’s a kids birthday party, company event, bowling tournament, or just a regular day of the week, there’s always plenty to do, see, eat and drink! This entry was posted on Friday, March 15th, 2013 at 2:43 pm	and is filed under . You can follow any responses to this entry through the RSS 2.0 feed. Both comments and pings are currently closed.